This devotional from Pastor Greg sounds like it is something that is relevant today. That is what I really like about the Bible. It is the same yesterday, today and forever. Years ago there was a woman who went to draw water from a well. She had been married and divorced five times and was living with a man. This was not culturally acceptable, and as a result, she was an outcast. She would go to the well at the hottest time of the day when she most likely would be alone. On one such day, she was surprised to find a stranger sitting there, a Jew. And then the stranger asked her for some water. This woman was a Samaritan, and Jews and Samaritans didn't speak to each other. She asked, "How is it that You, being a Jew, ask a drink from me, a Samaritan woman?" 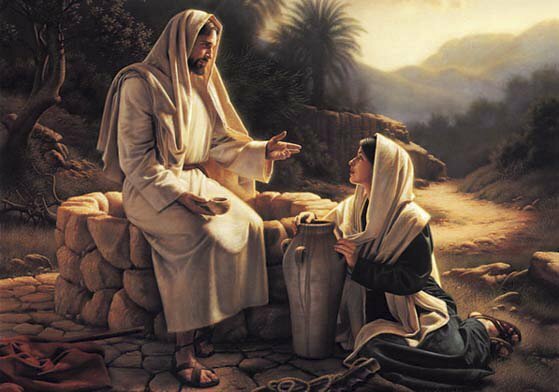 As they talked, this stranger, who happened to be Jesus, told her, "Whoever drinks of this water will thirst again, but whoever drinks of the water that I shall give him will never thirst. But the water that I shall give him will become in him a fountain of water springing up into everlasting life" (John 4:13–14). Jesus was talking about the well as a metaphor for life. If you drink from the well of success, you will thirst again. If you drink from the well of accomplishments, you will thirst again. If you drink from the well of experiences, you will thirst again. Whatever it is, it will leave you empty. Maybe you have tried to satisfy your spiritual thirst with the things this world has to offer and haven't found the satisfaction you are looking for. You didn't find it in that relationship. You didn't find it in that object. You didn't even find it in religious activities. The only place you will find it is in Jesus Christ. Are you spiritually thirsty today? Christ can satisfy your deepest thirst. If you want a new life in Christ Jesus, ask Him into your heart today. Simply pray this: Lord Jesus Christ, I believe that You took the pain and the sins of world on the cross to give me new life. I ask You to come into my heart and to give me Your peace and joy. I confess that I am a sinner that I have gone my own way and have done wrong. Please forgive me for my sins. I receive You now as my Lord and Savior. Please fill me with Your Holy Spirit. Help me to follow You and to serve You all the days of my life. Thank you so much for loving me, in Jesus name I pray, Amen. If you prayed that prayer you are a new creature in Christ Jesus! You are Born Again!